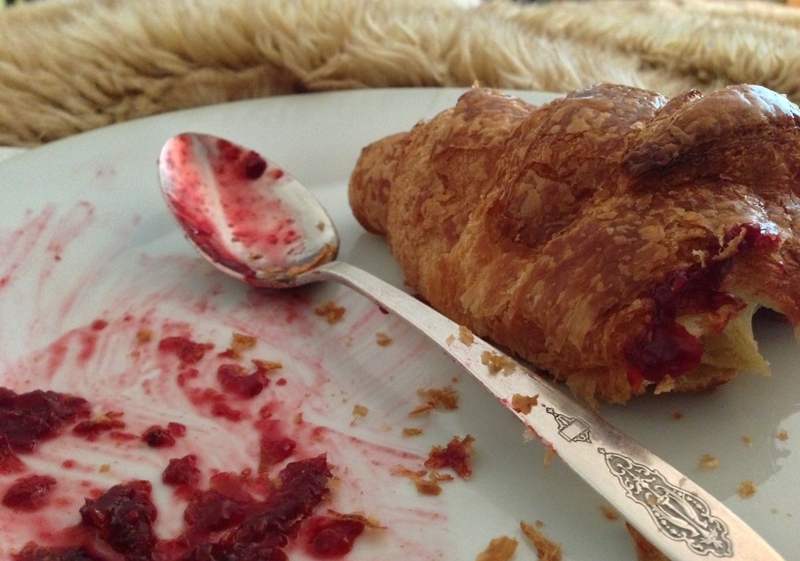 Mmmm…….breakfast in bed! A dream ,for “nearly” everybody. Plus an espresso,for me…. I wisely put my cappuccino on the bedside table…. Looks like it was good, though!